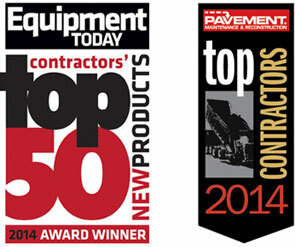 At Connecticut Sealcoating we are proud to be a top asphalt contractor serving Southington. For many years we have been providing Southington, Connecticut and its residents with the top of the line asphalt paving services. With a dedication to customer service and craftsmanship, we have established ourselves as the trusted asphalt company. 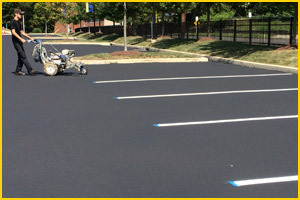 Whether you are looking for pothole patching or new parking lot installation, Connecticut Sealcoating is the paving contractor for you. Give us a call today! Southington is a town located in the U.S. state of Connecticut. It is a part of Hartford County, Connecticut. The town of Southington has three small villages located in it; Marion, Milldale, and Plantsville. The estimated total population is approximately 43.000. The town of Southington is a well-known town in the area and is a very popular place for residents and visitors in Connecticut. There are many attractions and points of interested in the town. One of the most interesting and attractive points of interested is Lake Compounce. Lake Compounce is the oldest amusement park in the entire United States of America. The amusement park has attractions for everyone in the family and is an immensely popular location for residents and tourists to visit. Lake Compounce is partly in Southington and also in neighboring Bristol, Connecticut. Southington also had a number of locations that are apart of the National Register of Historic Places. Some of the Notable locations that are listed on the National Register of Historic places are the Luman Andrews House, the Avery Clark House, the Timothy Hart House, the House at 1010 Shuttle Meadow Road, the Southington Central Historic District, the Southington Public Library, and many more. With such a rich history in the area, the town of Southington is quite a popular destination for visitors in Connecticut and the east coast. At Connecticut Sealcoating, we are proud to continuously provide asphalt paving services to Southington and its local residents. Give us a call today with any residential, commercial, or municipal asphalt needs! Learn About a Recent Asphalt Paving Job in Southington!